Part time mermaid, full time fibre artist, Aly weaves the tragic tale of sea-life in the plastic age. A passionate and prolific maker from the tropical north of Australia, she relishes any opportunity to share her love for basketry and the ocean along with the strong environmental message firmly embedded within her creative ethos. Did you know that the collective word for jellyfish is a smack? Jellyfish are plaguing oceans worldwide. Creatively come together with other curious crafters to tackle this ecological imbalance using basket-making processes along with fishing-line and other recycled materials. 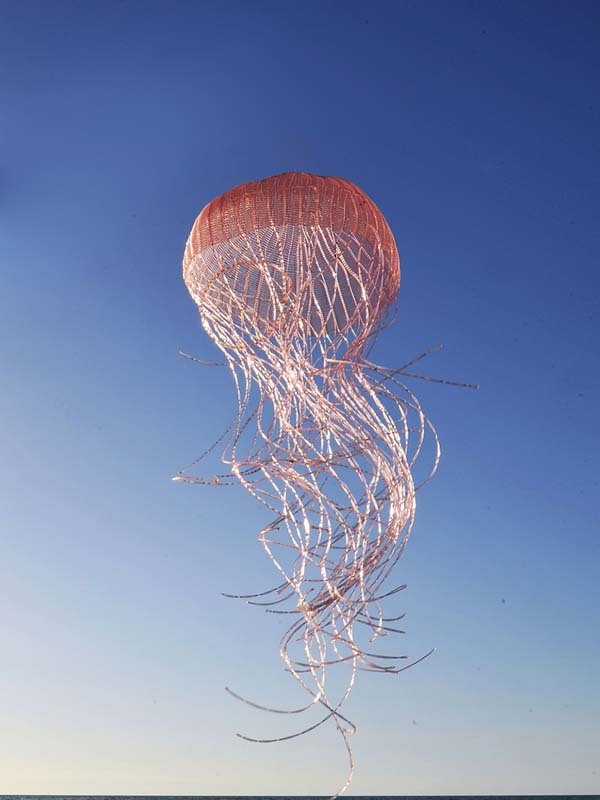 Learn several basket-making techniques, including string making and basket-twining, to weave your own jellyfish with Aly De Groot.